Your best friend is getting hitched soon! The great news deserves a special gift and you’ve been scratching your head to offer her something that would make her happy or that she would remember or keep forever. We get you! Esposa has summed up thoughtful bridal gift ideas that she will completely melt for! Offer her the best memories of your friendship that she can cherish forever! Collect your best souvenirs together and turn them into a photo-diary with personalized captions and notes. No gift could be more valuable! With all the pre-wedding load, nothing will make your bestie happier than a pampering day at the SPA to shake all that stress away! Such an essential bridal accessory that brides tend to forget about! Save your friend the hassle and make her the favor of a lifetime by offering her a bride’s kit filled with all the must-haves of a wedding day! Go the extra mile and add a personalized touch to your gift. There is nothing cuter than a customized set of mugs or bath towels for Him & Her that would not only come in handy but also remind her of you every time she uses them! Wear your friendship forever by designing the same piece of jewelry for you and your best friend, carrying both of your initials. Whether bracelet or necklace, it’s a gift that will always be close to her heart! 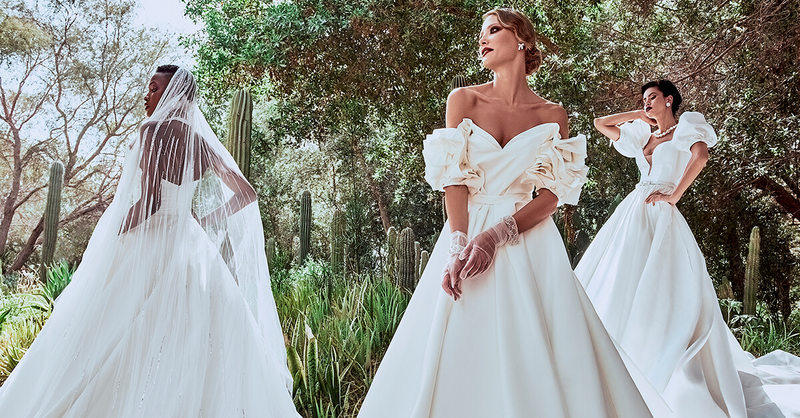 If you’re still looking for that dazzling dress to wear on your best friend’s wedding, Esposa and Esposa Privé have you covered with their latest evening collection that epitomize summer in the most glamorous ways. Visit our branches or contact us to know more!